The final print model is changed. The print and print program can not translate the my STL file because the file has too many polygon and vertex. So, I delete inner bone part and resize before stretch ver. The height can affect the print time, so I can not print long one. 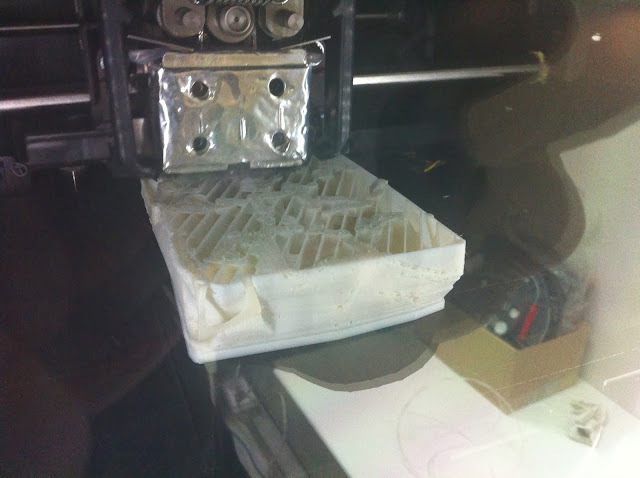 The printing work takes about 35hours and the melting supporter work takes a day. 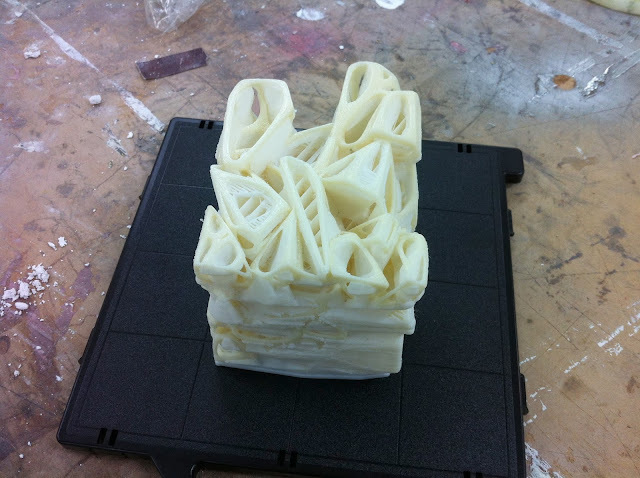 But the result's resolution is better than I think and the thickness is not too sharp. This is final model pic.